Floor Preparation is part of every service we offer. Mike Thelwell Flooring Ltd understand and base every installation around the importance of the correct floor preparation. Using a variety of Techniques we ensure that the maximum bond is created before we install any products. 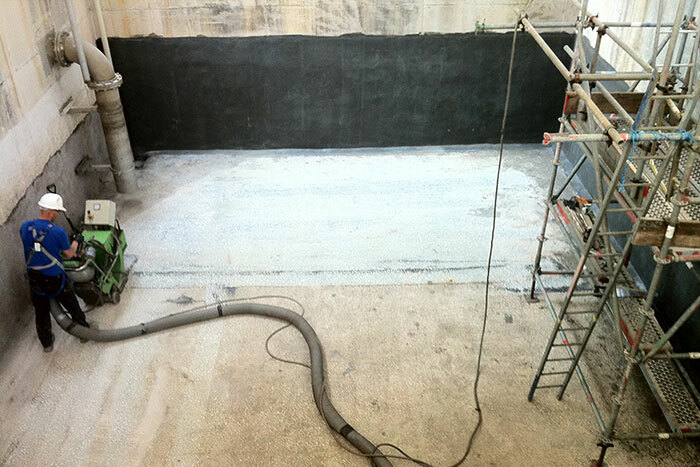 We carry out all our preparation in-house with the use of specialist mechanical equipment that cleans off the concrete to remove any existing flooring residues, all surface contamination including oils, grease, paint, dirt and debris. The equipment is connected to vacuum units that extract all the dust as it is created. The floor is then left in a clean state with a substrate showing clean concrete/screed with exposed aggregate and a keyed texture. Perfect for Installation…..